The idea of recording phone calls may sound like something out of a spy movie or the height of paranoia, but there are many more innocent reasons to do so. Journalists record phone calls and conversations all the time so that they can get accurate quotes and avoid sparring with fact-checkers. Many professionals need to keep records of business-related discussions as well. It can also serve as backup or evidence when dealing with customer service, verbal agreements, and other occasions. While the technology behind recording cell phone calls is simple, there are legal issues everyone should be aware of, and best practices to implement to get quality recordings that you or a professional can then transcribe quickly. This guide explains how to record phone calls, whatever your needs. If you're using an Android phone, all of the Android apps below should be equally available no matter which company makes your Android phone, including Samsung, Google, Huawei, Xiaomi, etc. Google Voice gives you a free phone number and voicemail service, but it will also record incoming phone calls for no extra charge. To enable this, go to voice.google.com on your desktop or launch the mobile app, which is available for both Android and iOS. Then visit settings. On the desktop, you'll see an option you can enable called incoming call options. On Android, that's found in settings/advanced call settings/incoming call options, while in iOS, it's under settings/calls/inbound call options. Once you enable this option, you can record incoming calls by pressing 4, which will trigger an alert that will notify everyone on the line that recording of the phone call has started. Press 4 again to stop recording, and you'll hear an announcement that recording has ended, or you can hang up. You can also record phone calls using a VoIP service, such as Skype. Digital Trends recommends using the website GetHuman, which helps you get a live person when calling customer service and also has an option to request that a particular company contact you directly, which will then enable you to record the call using Google Voice. 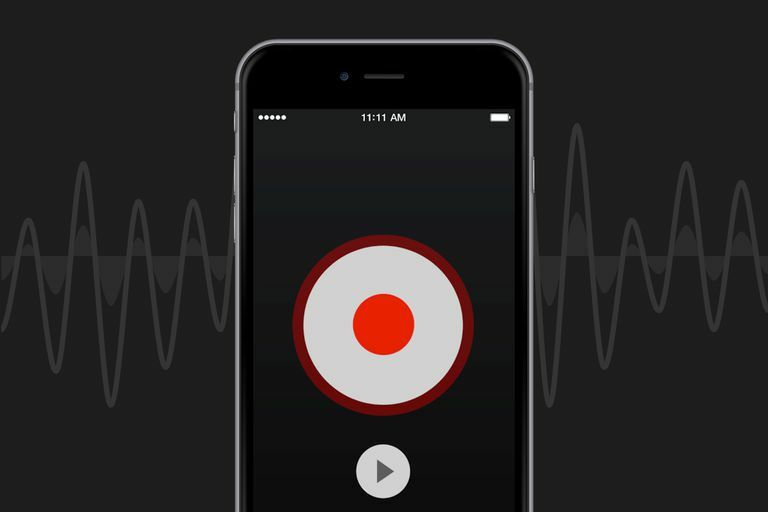 TapeACall Pro by TelTech Systems Inc is a paid app available on both platforms, but $10 per year gets you unlimited recording for both incoming and outgoing calls. For outgoing calls, you launch the app, tap record, and dial to start the call recorder. To record an incoming call, you have to put the caller on hold, open the app, and hit record. The app creates a three-way call; when you hit record, it dials a local TapeACall access number. Make sure your cell phone plan includes three-way conference calling. This app does not disclose that it's recording, so it's a good idea to ask for permission, depending on where you live. (See the legal issues section below for more information.) Note that while TapeACall has a free lite version, it limits you to listening to only one minute of your call recordings; the company says this is so users can test whether the service works with their carrier. It's also useful to verify sound quality. If you need to transcribe your recorded calls, Rev.com (by Rev.com Inc, not surprisingly) has a voice recorder app, but it doesn't work for phone calls. However, if you load the app on a tablet and make your phone call on speakerphone, you can capture a recording and then submit it to the service for transcription at $1 per minute; the first 10 minutes are free. Rev has free apps for both Android and iOS, and you can upload your recordings directly to Dropbox, Box.net, or Evernote. Alternatively, you can use a digital voice recorder to do the same thing. There are also specialized voice recorders that plug right into your smartphone's headphone jack or connect via Bluetooth so that you don't have to use your speakerphone. Depending on your phone, you might need a lightning-to-headphone or USB-C adaptor since some models eschew the headphone jack. For the best end product, you'll want to find the best environment to record your call. Find a quiet place in your home or business, and put up a do not disturb sign if need be. Disable smartphone notifications and incoming calls to avoid disruptions. If you're using the speakerphone, be sure you're not near a fan. If you decide to type notes during the call, be sure the call recorder is not near the keyboard, or that's all you'll hear on the recording. Do a test recording to make sure you're not missing anything. Ask for repeats if the other party is speaking too fast or unclearly. Repeat back answers and rephrase your questions if you're having trouble understanding the other person. These simple actions will come in handy if you need to transcribe or you're hiring someone else to do so. Professional transcripts usually include timestamps, so if there are any holes, you can quickly go back to the recording and try to figure out what was said. Note that recording phone calls or conversations may be illegal in some countries, and laws vary by state in the U.S. Some states allow one-party consent, which means that you can record conversations at will, though it's a courtesy to disclose that you're doing so. Other states require two-party consent, which means you could face legal trouble if you publish the recording or its transcript without getting permission to record. Check your state and local laws before proceeding. No matter why you want to record a phone call, these apps and devices will come through, but it's also a good idea to take notes just in case something goes wrong. You don't want that feeling of panic when you try to play back a recording only to hear utter silence.